One benefit of using FileMaker Server is the secured connection it provides between the server and users. When you install an SSL certificate (SSL = Secure Socket Layer) on the FileMaker Server, then the data your users send back and forth from the server is protected from hackers. Even if you aren't familiar with how SSL works, you likely benefit from it every day... If you are on a web site and notice that the URL begins with https instead of just http, that website has an SSL certificate, and your interaction with it is protected. 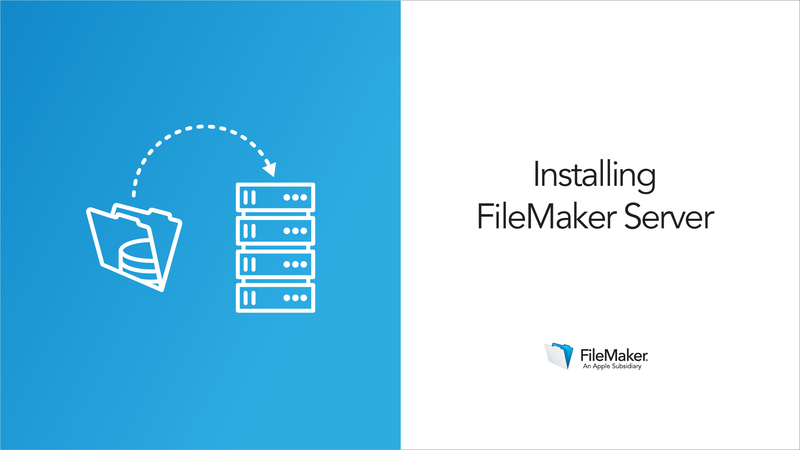 In this lesson, you'll first see how to install the FileMaker Server software onto your server machine. 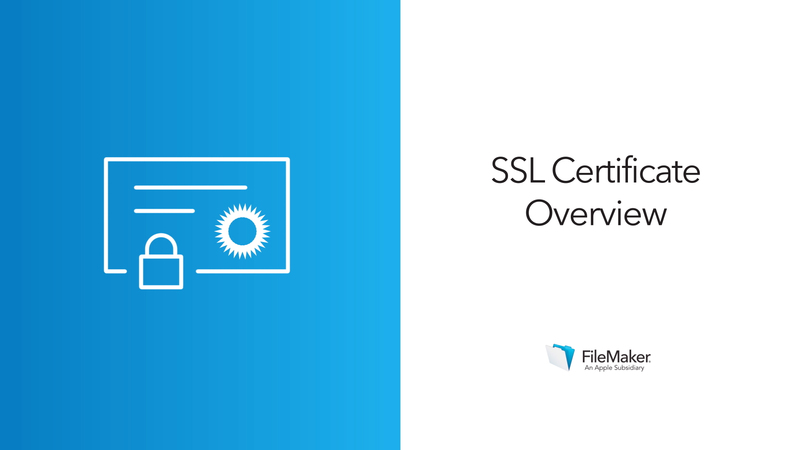 In the final two videos, you'll learn more about the different types of SSL certificates available, and see how to select, purchase, and install an SSL certificate on your FileMaker server. Data attacks are becoming more common every day. When you share your app with your users, you'll want to protect that data with every reasonable measure available. See the installation process, so you know which settings to check on your server during your own installation. Learn about SSL certificates so you know which kind to purchase for your own server. 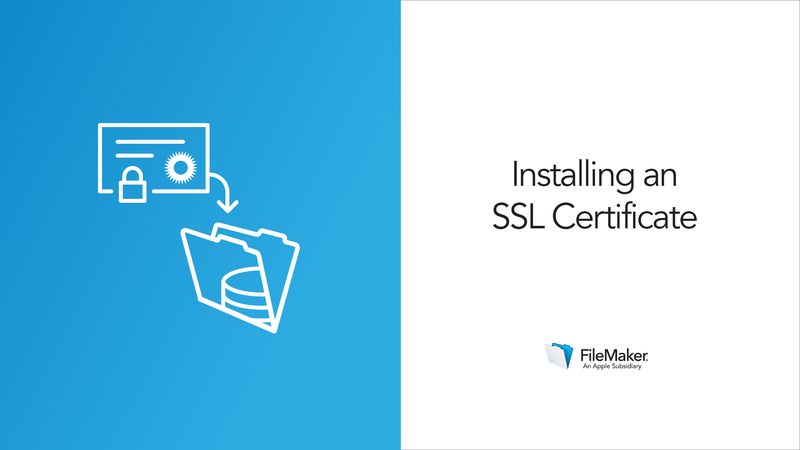 See how to install the SSL certificate onto the FileMaker Server software, to secure your app.